I didn’t have braces as a child or teen. My parents looked into it, but the orthodontist had wanted to do pretty invasive jaw surgery and we decided against it because my teeth just weren’t bad enough for me to want to go through all of that. But, in recent years, as my teeth have gotten a little more crooked, I’ve wanted to look into possibly getting braces. 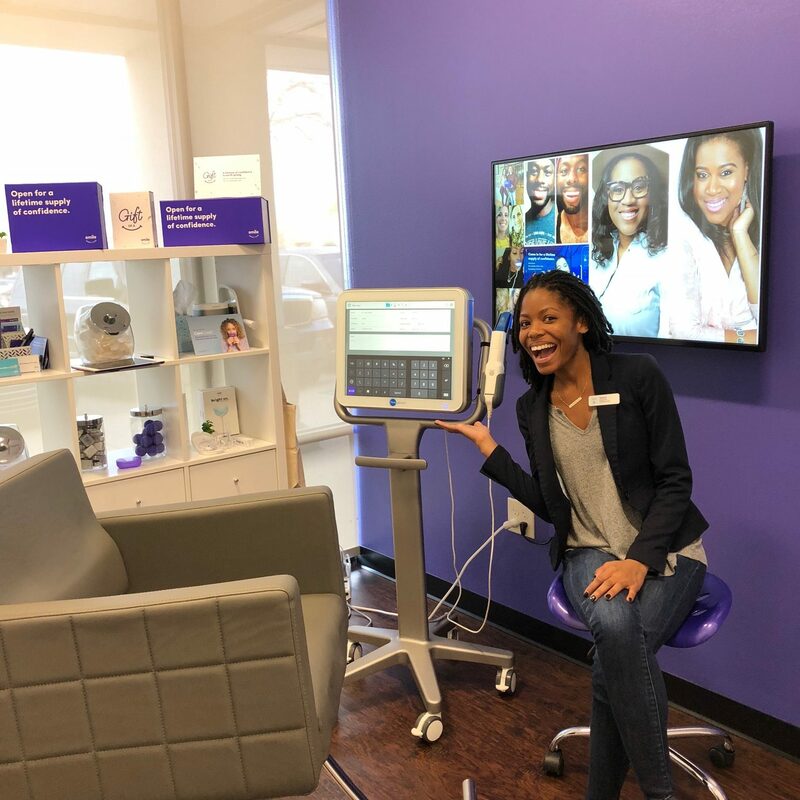 Jesse and I had talked about it multiple times, but the costs involved plus the time required to go to all the appointments and experience all of the discomfort — especially since I usually am on live video every single day! — just didn’t feel worth it. It is done almost entirely remotely (saving the time and hassle going in for appointments). 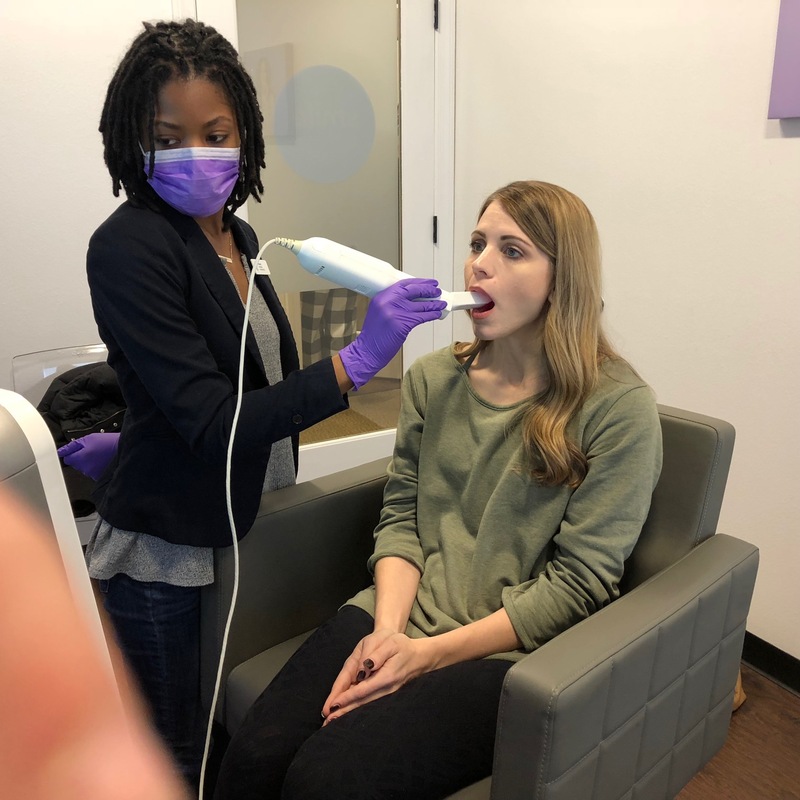 Most treatment plans take 6 months or less. 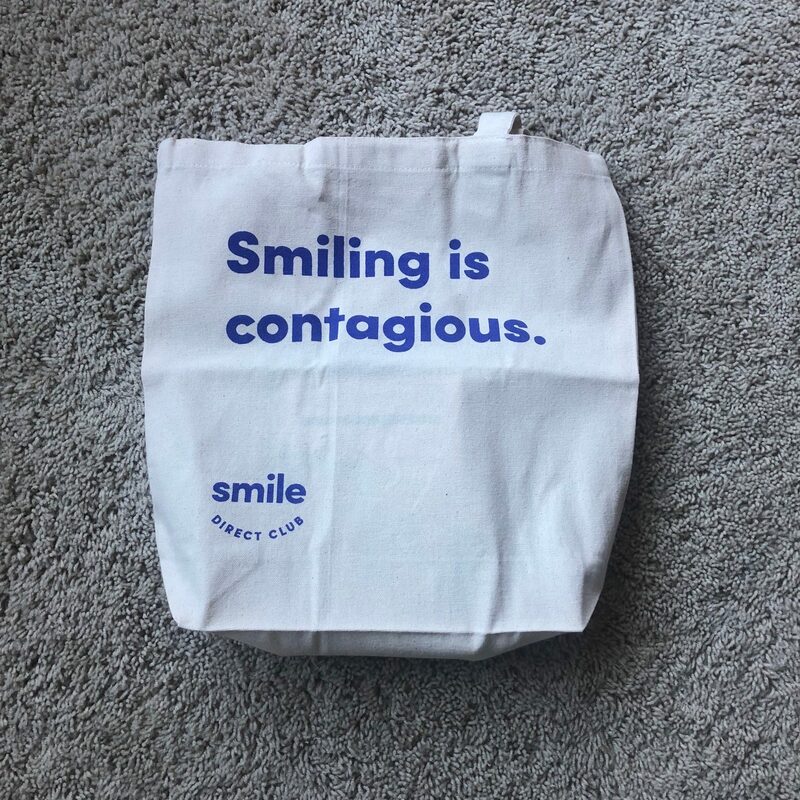 I did a lot of research into it and was excited to find that there was actually a SmileShop right near where we live — which I felt better about since it scared me a little to do the entire process remotely. 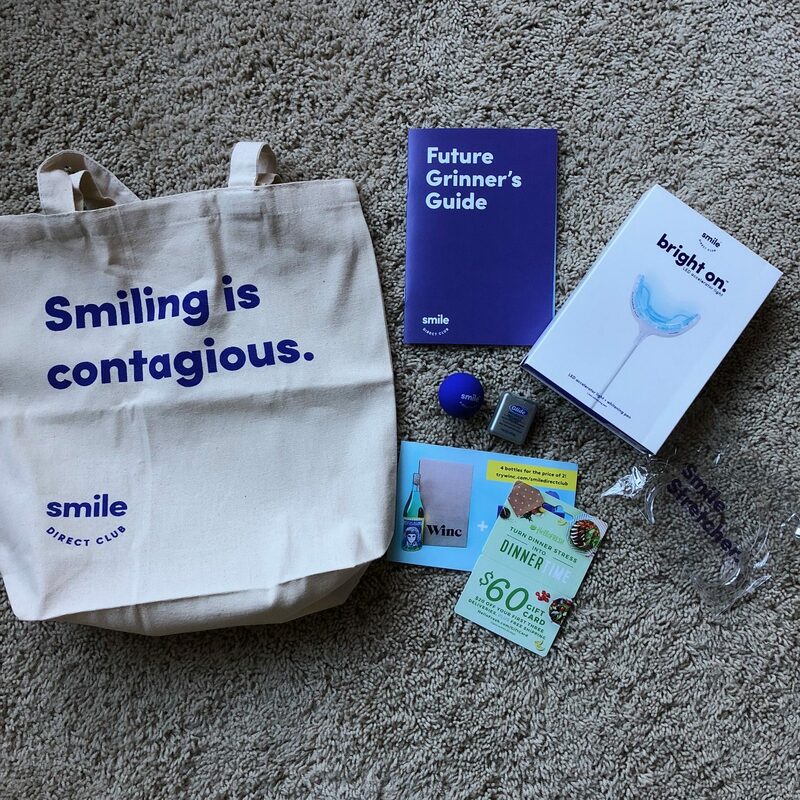 Now here’s where I get completely honest: I had put it on my calendar to set up an appointment with the local SmileDirectClub shop… but then life happened and months went by and I didn’t do it. 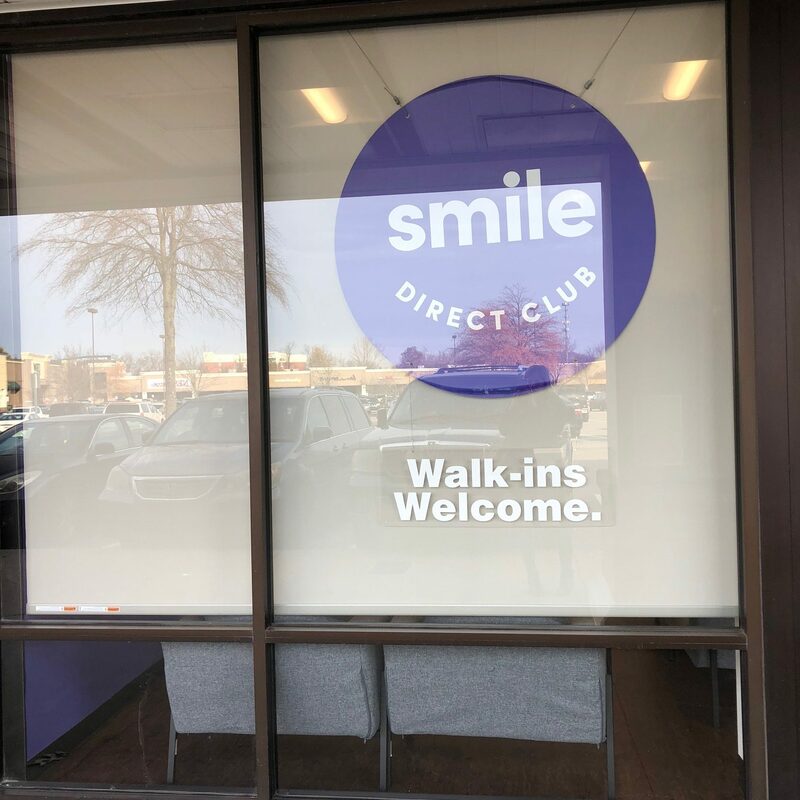 But when SmileDirectClub contacted me about possibly advertising on my site, it was the kick in my pants I needed to actually go do the initial appointment. 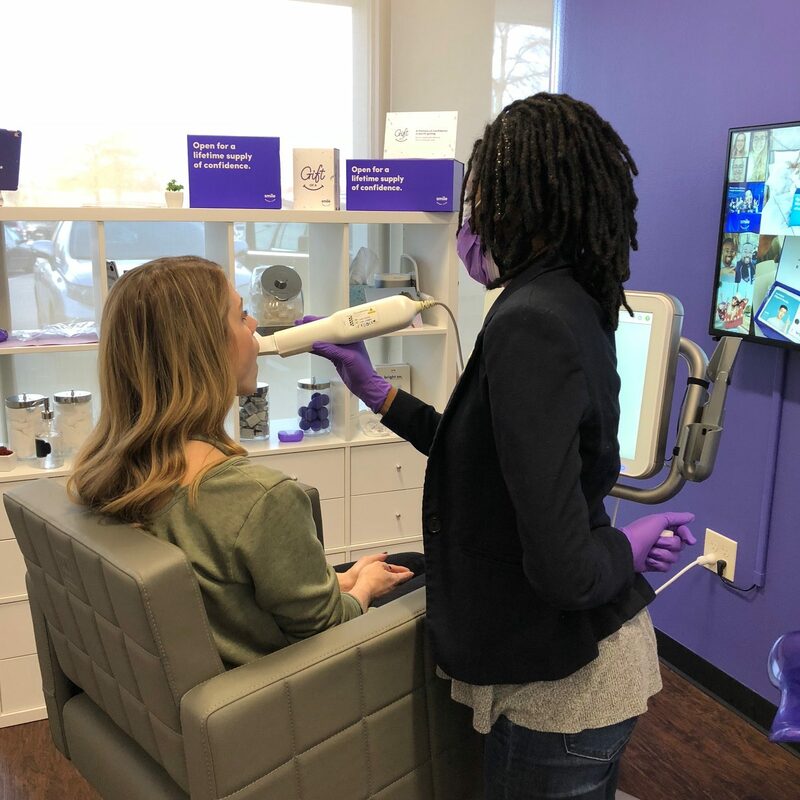 It’s free to get your smile scan — and it only takes 30 minutes! 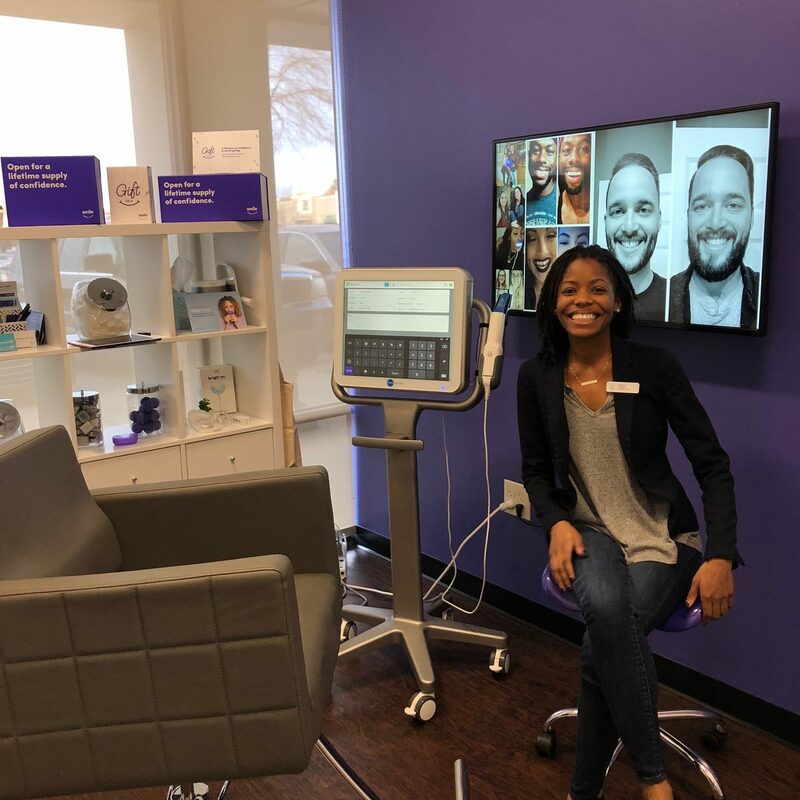 After I set up my appointment (which you can do online in just a minute! ), I was super impressed with the followup that I received. They sent me a few reminders of my appointment, a video to let me know what I could expect when I went in, and a text reminder the day of with detailed directions on where the shop was and a photo to the outside so I could see what to look for when I got there. I was greeted at the door by two very friendly staff members who went out of their way to make me feel welcome and answer my questions. 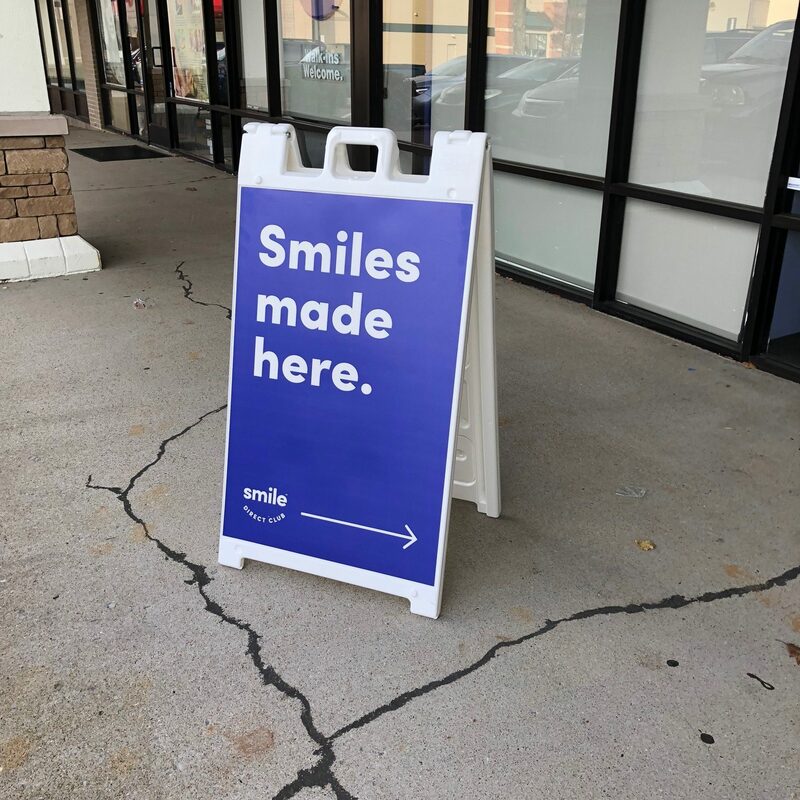 For a place that advertises helping you improve your smile, they certainly know how to hire fun and warmly-smiling staff! 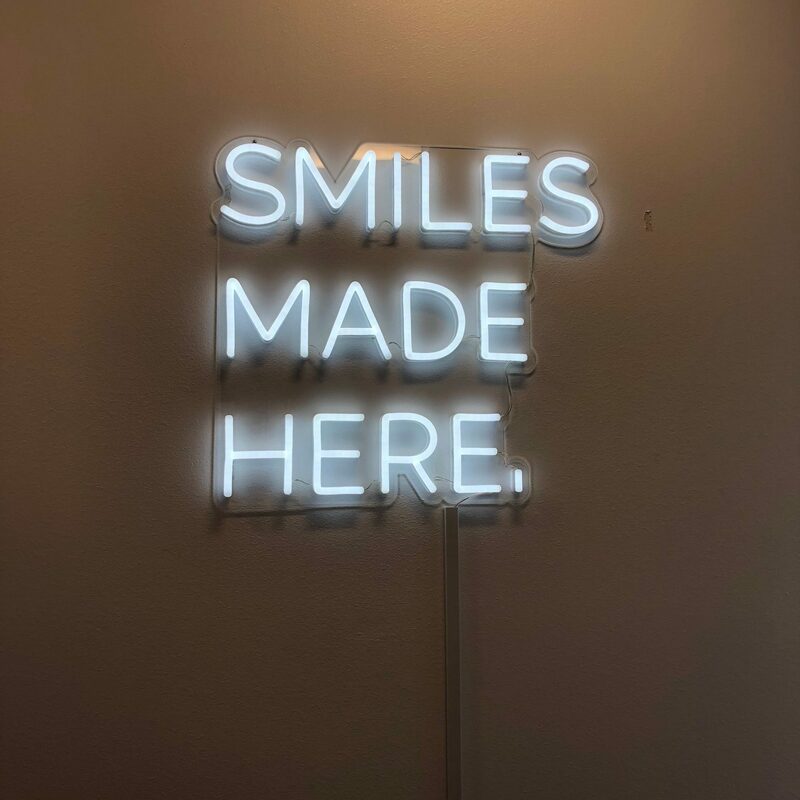 Your 3D smile is reviewed by a duly licensed dentist or orthodontist, who will guide your new smile from beginning to end. 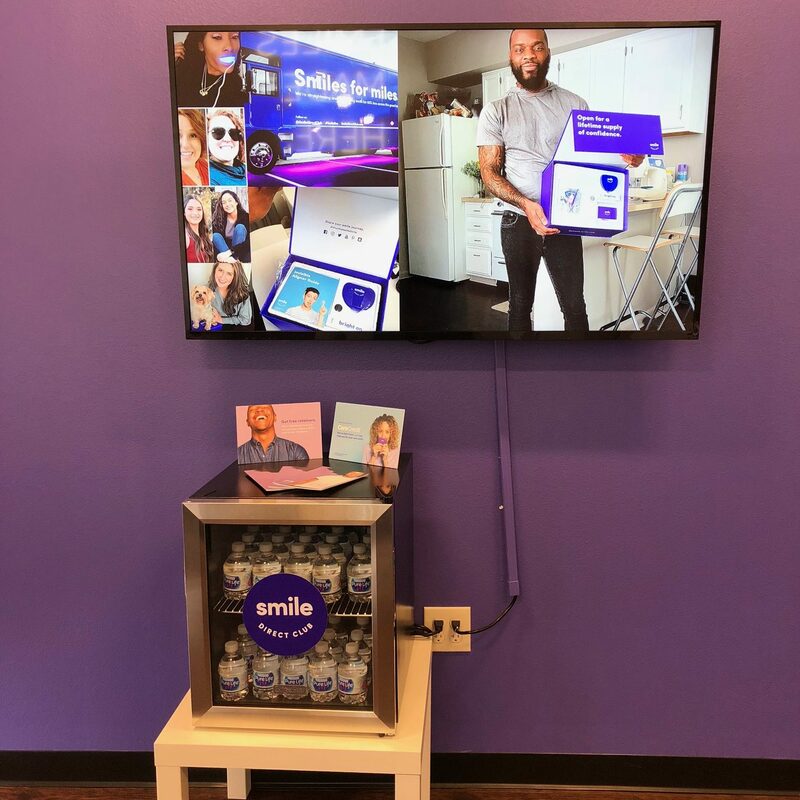 You work with a licensed dentist or orthodontist the entire time and they ask you to send periodic photos to help them make sure you are on track. 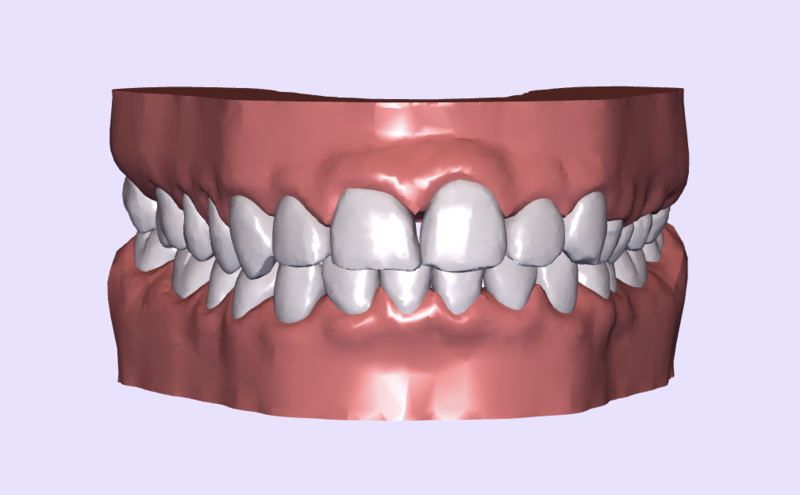 At the end of 6 months, you can purchase a set of retainers for $99 to help maintain your smile. You just wear them at night to keep your new smile in place. 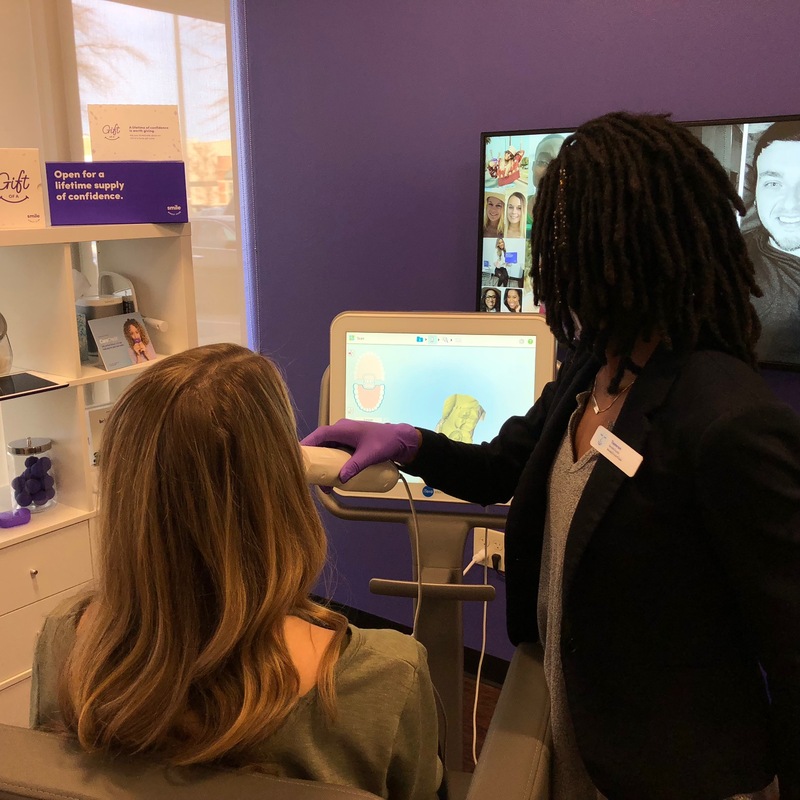 After they explained how SmileDirectClub works, they then took photos of my smile and then did a 3D scan of the inside of my mouth. They were super informative the entire time — explaining what they were doing, telling me what to expect next, and making sure nothing felt uncomfortable. The whole scan only took maybe 8-10 minutes and was very painless and simple. 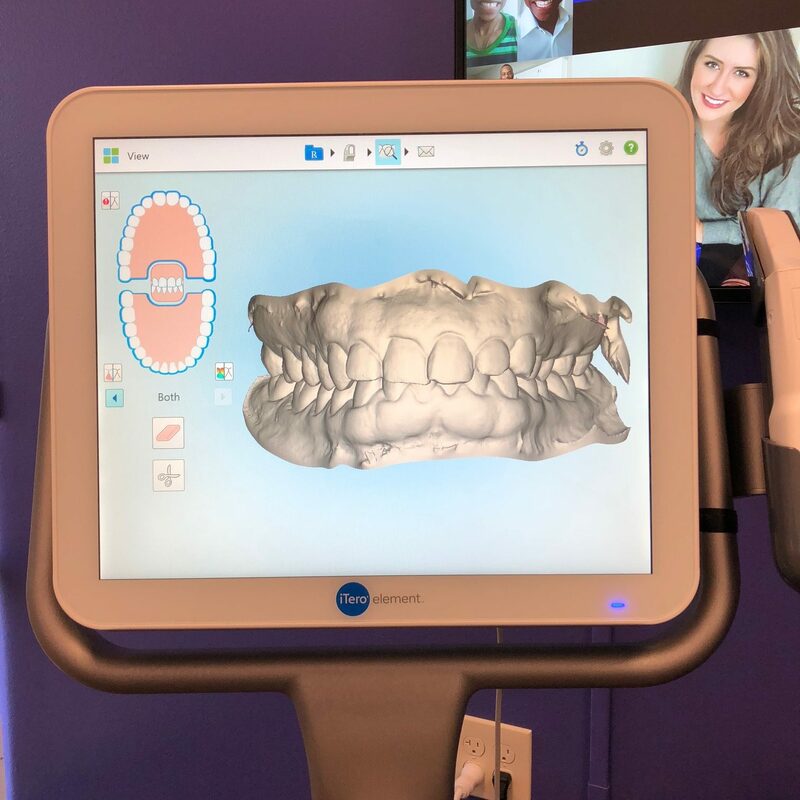 When they are finished, it’s pretty cool to see exactly what your mouth looks like in a 3D model on the computer screen! A few days later, I got an email with my new smile available to view. It was super cool because you could see the progression of what the aligners would do to my teeth over a 6-month period. It was exciting to see how much better they could look! 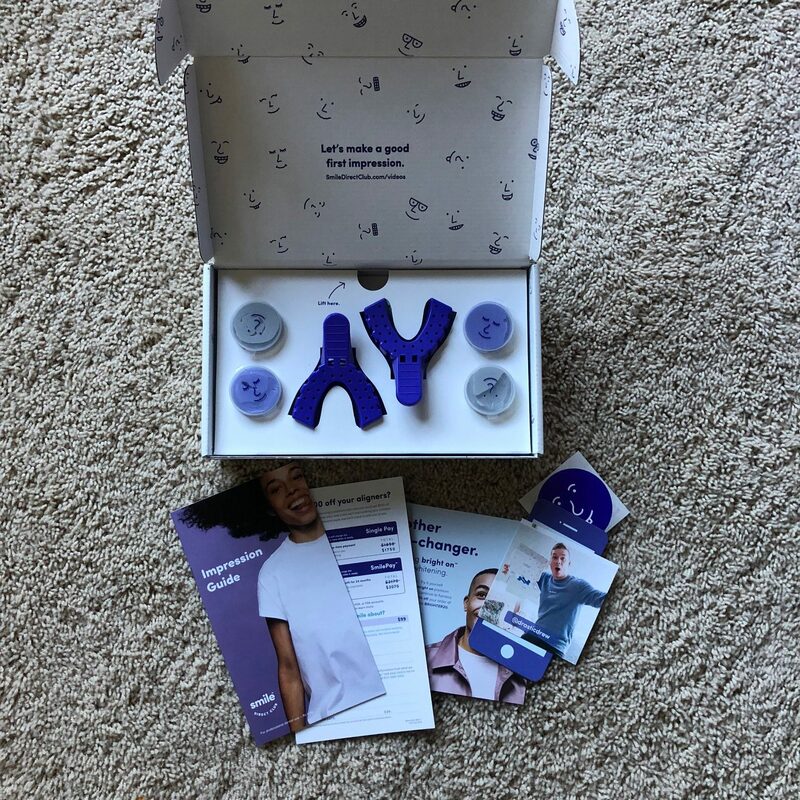 If you can’t go into a local SmileShop to get a 3D Scan done, you can order an at-home Impression Kit (shown above). Again, I would personally recommend going into a SmileShop as it’s completely FREE to do so and they do such a great job of giving you such a high-quality scan. But you if you do end up ordering an at-home Impression Kit, use coupon code MSMDEAL to get 50% off the price. 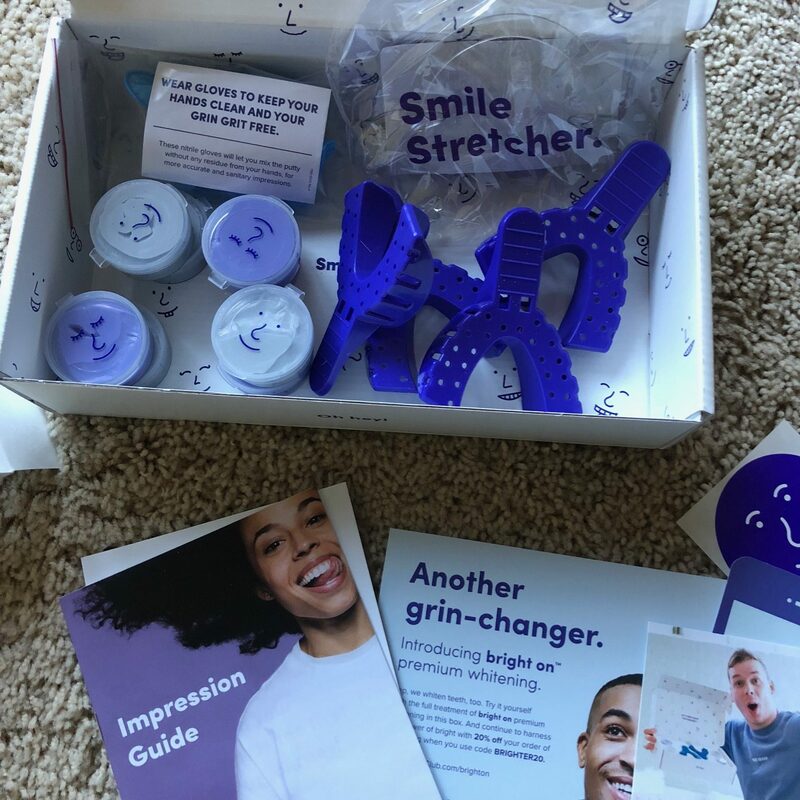 And if you decide to sign up with SmileDirectClub, you can also use coupon code MSMDEAL at checkout to get $100 off the price of your Invisible Aligners. 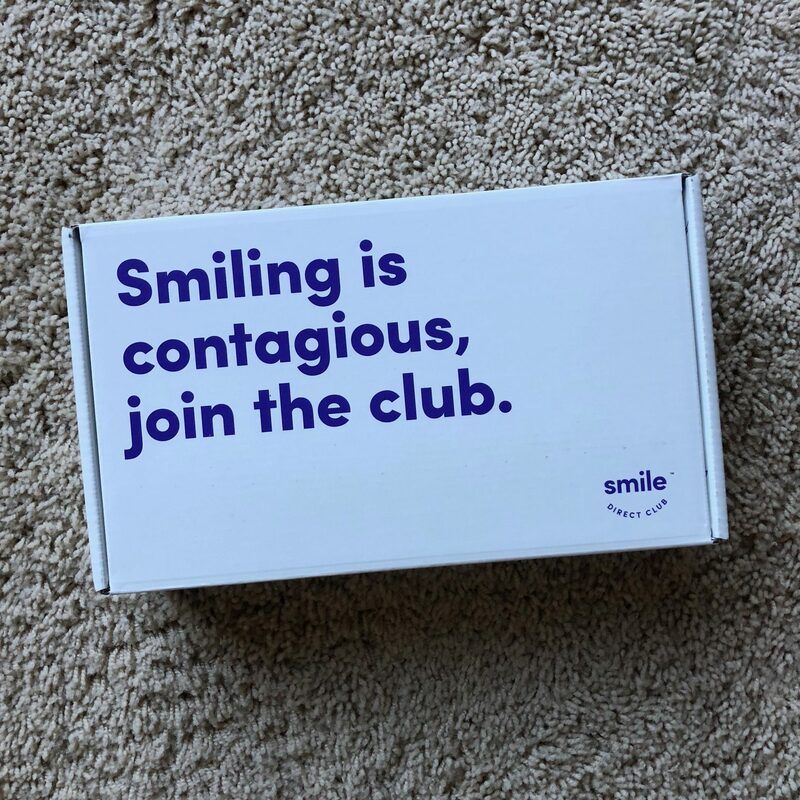 Have you used SmileDirectClub before? If so, I’d love to hear your honest opinions and experience with it. And if you have any questions about the process, leave them in the comments and I’ll do my best to answer them for you or find out an answer for you!